Vocational training in forestry is characterized by a vast amount of challenges. These are due to many factors, starting from the multitude of topics associated to forestry, ranging from the regional specifications, the outdoor-based training, the economic and ecological impact, the rapid evolution in forestry techniques and science, to the increasing need for wood as a renewable resource. 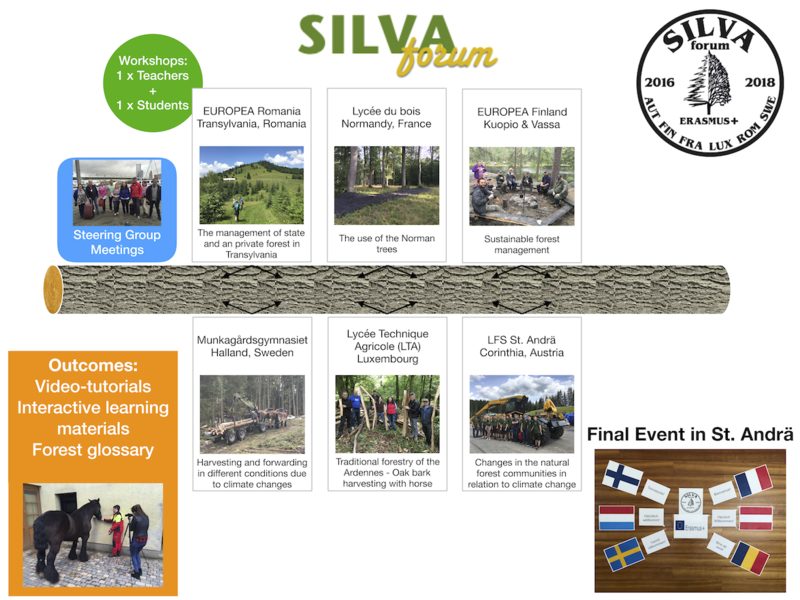 Through transnational cooperation, forestry schools, teachers and students try to keep themselves up-to-date, learn from each other and put their resources in common in order to improve their quality of training. SILVAforum Video: The technological process of clapboard, part 1. SILVAforum Video: The technological process of clapboard, part 2.